Starting January 11, 2015, we will be closed on Sundays until the around the time that bears stop hibernating. We will let you know when it’s safe to return on that day. 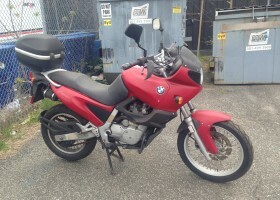 2007 Genuine Buddy 125 Italia $1600 – SOLD! This 2007 Genuine Buddy 125 has been serviced and is ready for its next owner. With just over 4,100 miles, this bike has lots of life left in her. Complete with a top case and mirrors – this one’s ready for the road and priced to sell. 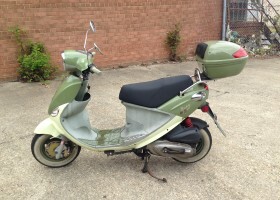 First $1600 takes the scoot.